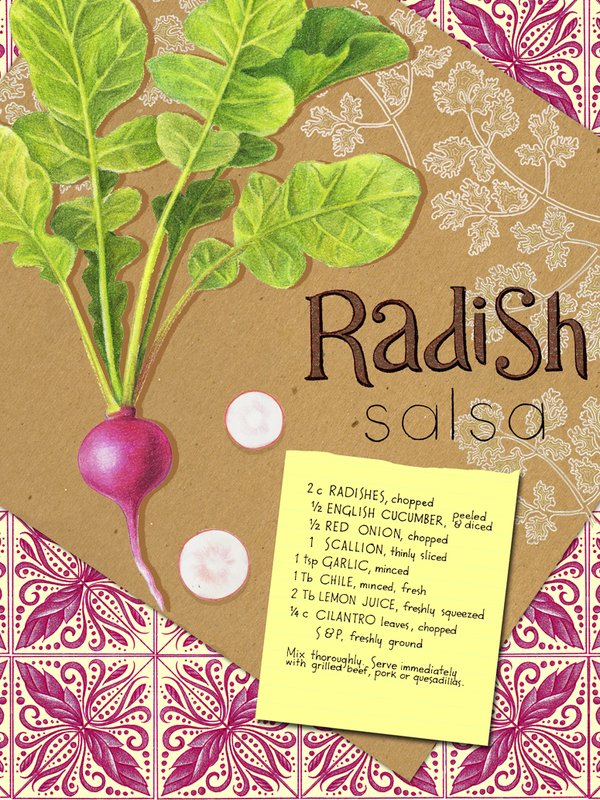 The Rainbow Radish Collection features two botanical illustrations of radishes in saturated pinks, purples, and reds with fresh leaf greens. 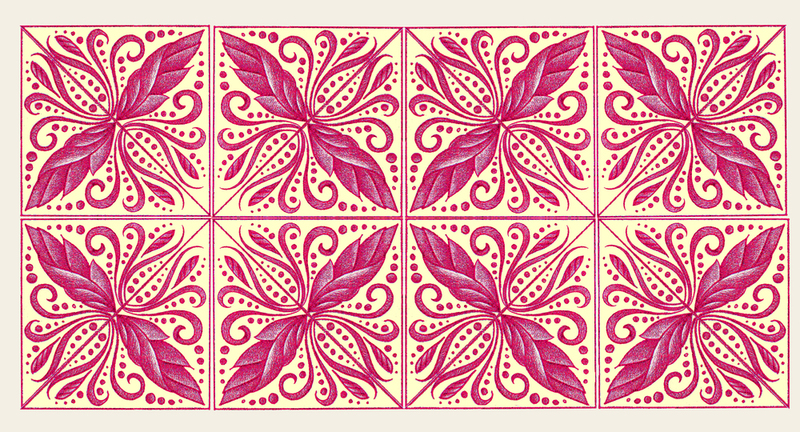 A lovely hand-drawn tile pattern in hot pink and soft, buttery yellow complements the feature illustrations. A coordinating stripe in hot pink, butter yellow, and spring green rounds out the collection.